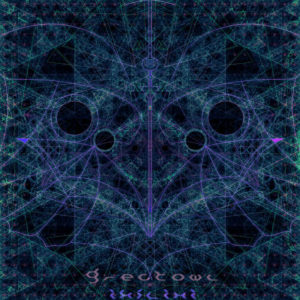 Ikilixi is the second release of GreatOwl. Especially Dedicated to all lost and hungry spirits, Ikilixi contains the misty rhythms of the cycles of the moonlit sky. High above the forest canopy, Ikilixi unfolds through a progression of seven kinetic meditations, culminating in it’s eighth and ultimate sonic release. Mastered by Storm Masters. MP3 Download | FLAC Download | WAV Download · Download count: 4,935. I liked the last album and I like this even better. Some very excellent tracks. Maybe my top download this year from Ektoplazm. Thanks to artist and Basilisk! Exceedingly interesting, subtle and intelligent music. The sounds and layering of the production are to die for. May be too deep and light (not bangin’ enough) for some but turn it up and put the headphones on and drift off :) I echo Les’s comments above. Great stuff. Underated and nearly under the radar. This is a dark, gooey, and refreshing mixture of organic, mind-massaging synthscapes. I’m loving every second of it. I loved every second of this album. Fantastic ambiances, clever without being *too* clever, magnificently produced. Bravo! Encore!!! Very groovey,melodic,dark motives running this one. For me great job,a very tender cover with a deep sound.